Take your higher education job search to the next level with the Northern California (Higher Education Recruitment Consortium (HERC). The Northern California HERC lists more higher education jobs than any other site in our region. Browse thousands of available jobs in higher education in Northern California and create email job alerts for your precise area of interest. Our job board spotlights positions including administrative, academic, and staff jobs. 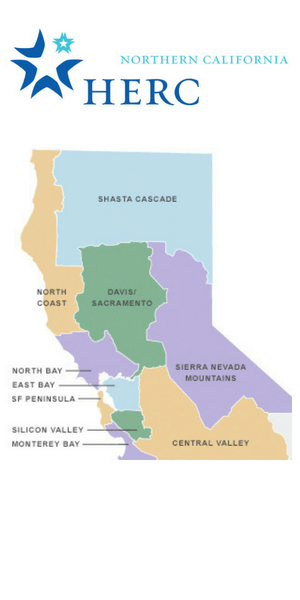 Northern California HERC member employers include colleges and universities, as well as include teaching hospitals, research labs, and cultural centers. No matter a HERC member institution’s field or size, each HERC member employer values diversity and inclusion. We want your job search to be a success. We offer tools for building your application materials, conducting strong interviews, and negotiating your job offer. Turn to our career advice page for webinars and blog posts. Create an attention-grabbing CV or resume and upload it as part of a searchable online portfolio, accessible to potential employers. We recognize that finding a job in higher education often means finding an equally rewarding job opportunity for your partner. To that end, HERC features a dual career job search option with commutable distance features. This allows couples are able to search for job opportunities side-by-side, at nearby institutions. Also look for webinars and other materials to plan and execute successful parallel job searches. The Northern California HERC aims to promote diversity and equity in higher education recruitment. As you start your next higher ed job search in Northern California, please explore all of the resources we offer. Visit the Northern California member portal on HERConnect and learn how HERC helps promote your higher ed careers in Northern California.